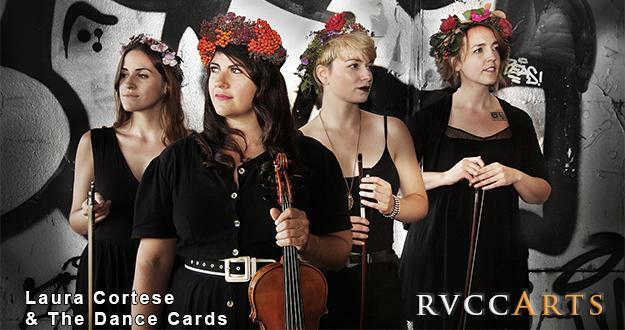 Laura Cortese & The Dance Cards is an all-female string group brought together by the love of traditional American music and the myriad of ways it can be expressed in a chamber-folk setting. With their feet solidly grounded in traditional fiddle styles, they reach for the sky with their original compositions, arrangements and interpretations of Old-Time, Bluegrass, Country and Celtic music. This trio goes from hard-driving tunes to heart-breaking songs of Americana deftly and with the sensitivity of players beyond their years. The Dance Cards have toured the US and Europe, performing in every imaginable setting from farmers' markets to music festivals, and house concerts to concert halls, while hosting workshops on fiddling, grooving, dancing and singing in between. All members of the Dance Cards went through rigorous training at the Berklee College of Music and bring not only a reverence to tradition but an innovative creativity to the music that they make.